Units: Co. K, 19th Ga. Inf. 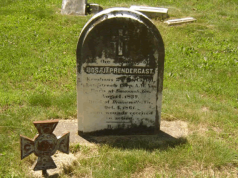 In his will, requested that his Confederate Cross of Honor and his Mexican Dollar “handed me by Capt. I.A. Roe at our surrender…near High Point, N.C. be kept in the family as long as there is one living. The following was published in the September 13, 1907 Fairfax Herald along with sketches of the other Fairfax County officials. 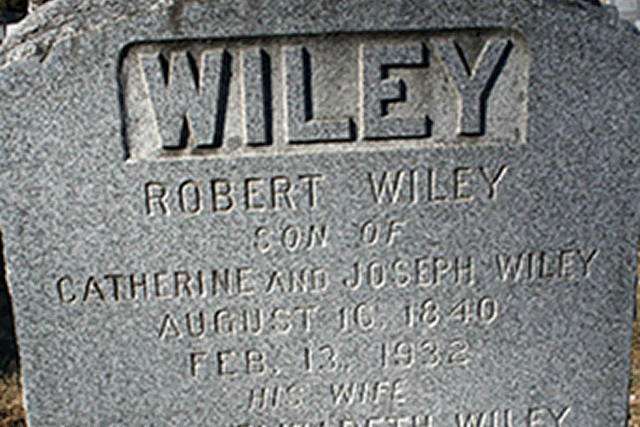 The death Robert Wiley, of Fairfax, Va., February 13, 1932, terminated the fine career of a very unusual man. Born in that county in 1840, and educated in the schools of Washington City, he had just obtained his majority when he promptly responded to the call that rang throughout the South. 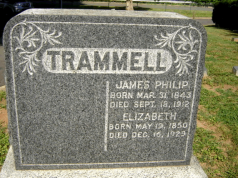 He was on duty as a scout in 1861 and 1862, and in March of the latter year enlisted as a private in Company K, of the 19th Georgia Regiment. That was a fighting regiment in whose record was written a long list of bloody battles. 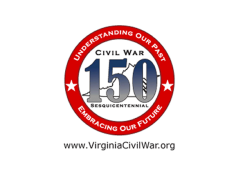 In all of them the young Virginian participated, except when incapacitated by wounds. He was wounded three times in the Seven Days struggle; again at Olustee, Fla., and again so severely at Drury’s Bluff as to be laid aside for several months. Weakened by his wounds, he felt he should not accept, and, therefore, he declined, promotion when it was offered. In after years he was never entirely free from suffering due to the injuries he had received on the battle field. Possessing a keen intellect, attractive manners, unfaltering courage and high moral standards, and, in addition, possessing a rare gift of making friends, he won the respect and admiration of the officers whom he followed and the men with whom he served. There was no soldier more devoted to the Confederate cause and no veteran more devoted to its memories. He retained in a marked degree the warm and vivid recollections of the events and comrades with whom he had been associated, and was always happy when he could turn from the affairs of the present to recall and discuss the experiences of what was to him the never-forgotten past. In the midst of the troubles incident to rebuilding the social and economic structure which the war had shattered, he found time to assist in creating a veteran organization in his country, which was called Marr Camp in honor of Capt. John Quincy Marr, who was killed at Fairfax Court House, June 1, 1861, in the opening conflict of the war. Soon Mr. Wiley was chosen Commander of the Camp, and several years before his death he had the distinction of being chosen Commander for life. He survived nearly all of the 150 members who had been carried on its roll. As a citizen, he was held in the same high esteem he had enjoyed as a soldier. His neighbors looked to him for dependable leadership and service. They placed him in various offices which he filled with notable fidelity and success. Finally he was elected to the important position of County Treasurer, and re-elected for 6 successive terms, and in his 75th year he voluntarily retired from that position which he had held for nearly a quarter of a century. Equal to his strong faith in the righteousness of the cause for which he fought was his unwavering religious faith. As a member and steward of the Methodist Church, he was a shining example of devout and active Christian life. Poem dedicated to Robert Wiley, who performed the valiant service in the battle of Olustee, Fl., which inspired this poem. Where’s the man who’ll run the gauntlet, get the cartridges we need? And he left his Colonel smiling, as between the lines he sped. But the boy flew faster onward in this race with grim defeat. And he must not fail or falter, or the Yanks would win the fight. Cheered the brave Virginia laddie and let loose the Rebel yell. But it seemed that Heaven watched him, and bullets missed their mark. But his mission was completed and he had performed it well. And he knew that those few cartridges – had the day for Dixie saved.